NEWARK, N.J. – Reigning Olympic champion Gabrielle Douglas soared to victory in the 2016 American Cup on Saturday, serving notice she’s ready to make another run at the podium in Rio de Janeiro this summer. Douglas posted a score of 60.195 and avoided any major mistakes to edge U.S. teammate Maggie Nichols, who came in second with a total of 59.699. Elsabeth Black of Canada was a distant third. Douglas is attempting to become the first woman in nearly 50 years to repeat as Olympic champion. 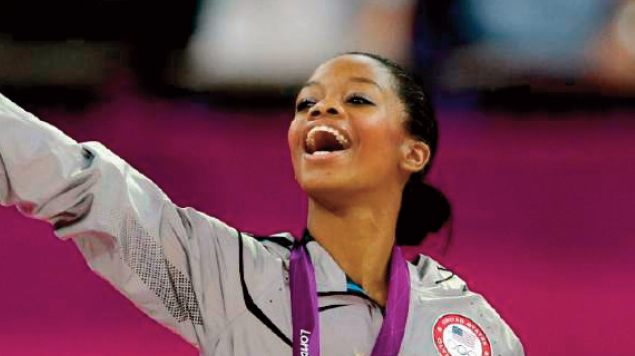 While there’s work to be done to catch good friend and heavy gold-medal favorite Simone Biles, Douglas showed she’s up for the challenge after four steady stops around the Prudential Center. Ryohei Kato of Japan won the men’s title after American Donnell Whittenburg fell in the final rotation. Previous post FUNdraising Good Times: What is your brand?